He's our new confidence role model! Guy Branum is one of our 2018 TODAY Style Heroes. Click here to see the full list! 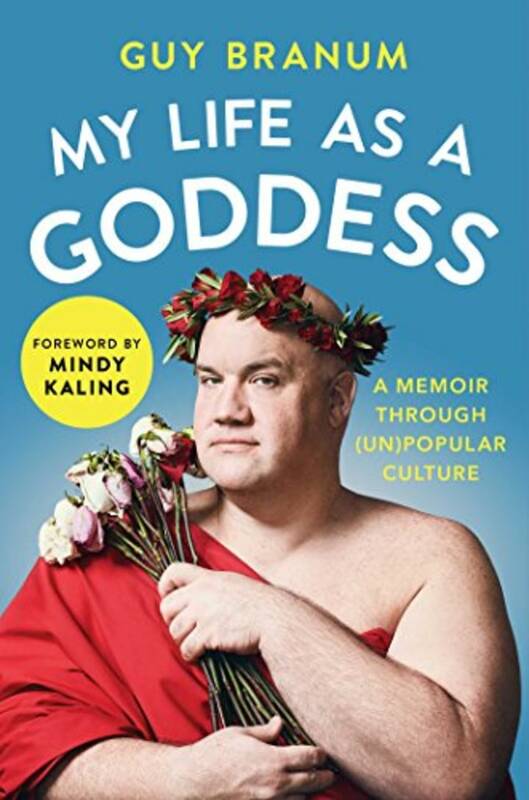 In his recently released memoir, "My Life As A Goddess," comedian Guy Branum walks readers through his journey of humor and self-acceptance in a series of hilarious essays. The host of truTV's "Talk Show The Game Show" chatted with TODAY Style to share his thoughts on body positivity and living your best life. 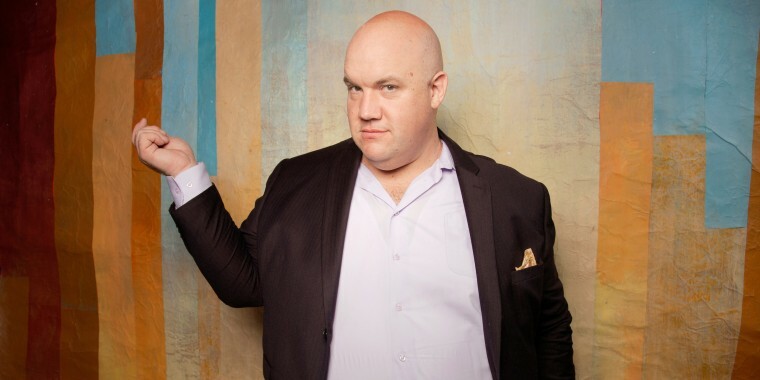 Guy Branum will never forget the moment he realized that being fat would shape the way others treated him. It was the 1980s and Branum was settling in for a juicy episode of "20/20." His excitement for one of his favorite shows soon turned to confusion as a group of fat people were shown on the screen with their heads blurred out. “I remember watching it and realizing that I had seen this before, that any time the news was talking about fat people, it didn't show the faces attached to the fat. I remember as a child thinking that was odd,” Branum told TODAY Style. Looking back, Branum can now recognize little ways that people negatively approached his weight. “When I was a young kid, it was mostly just people telling me how big I was. As time went on, there was this weird way where people felt like they were entitled to be overly mean to me,” he said. "All of our conversation about fatness are about assuring someone that isn't fat that they're better than someone." Like one moment at a dinner before a high school speech competition that Branum vividly remembers. “The guy who was giving out spaghetti wouldn’t give me any and he said 'You’ve had enough.’ This was 15 minutes before I was about to give my speech, too,” he recalled. Over time, Branum would encounter many moments like this. “I think that moment with '20/20' was just the beginning of a long process of learning about the way people saw me,” he said. Like most people, Branum's weight has fluctuated over time. Eight years ago, the comedian went on a pretty intense diet and exercise regimen. “It affected my career — I wasn’t doing stand-up as much — but I really focused on my weight and lost a bunch of weight. I was still fat, though,” he said. “I hit a plateau for months and months." The comedian now wishes he was a little kinder to himself back then. "I think one of the most significant problems was me conceiving of the goal of 'un-fatting' myself. I should've realized that that was me doing the best for myself. And if the best still leaves me as someone who a medical professional would consider to be fat, then that’s got to be OK because that’s what is achievable for me," Branum said. The idea that fat is something that must be "fixed" has been a reoccurring concept in Branum's life, especially from medical professionals. It was never more so than during a recent doctor's appointment. "Between finishing my book and now, my doctor moved and I experienced this moment of terror because I realized I would need to go to a new doctor," he said. "When you're a fat person, there's a decent likelihood that a doctor isn’t going to be able to see you at all when you go into that room. And that’s actually what happened." The comedian had recently fallen, and just wanted to make sure his knee was OK — and maybe check in about his efforts to maintain his health. "The doctor wasn't interested in talking to me about my ongoing efforts to make sure my diet and exercise were adequate and didn't want to offer me other suggestions to maintain my health. He only wanted to talk about one thing and that one thing was bariatric surgery," Branum recalled. "And I cried, but I also just didn't let him push me around. I tried to at least say, 'One would think that there are other options, and maybe you could learn a little bit more about me before you decide that surgery’s the answer.'" It's moments like this one that can serve as an opportunity to change the conversation around weight, Branum says. "All of our conversation about fatness are about assuring someone that isn't fat that they're better than someone. It is just about getting to comfortably feel that you have something figured out that somebody else doesn't and that makes you morally and spiritually better than someone else," he said. "And I think that we get into a bad place when we are too attached to feeling morally superior to other people." Although people are often insensitive when talking about weight, Branum acknowledges that progress has been made, especially in his own industry. "Things have gotten way better. For instance, the fact that we have a show called 'Dietland' on the air that's actively asking questions (about body image) is really exciting," he said. "I think that fat people too frequently are hoping and praying for one day when they will no longer be the thing that they are and they can enjoy life." Still, the comedian admits there's still a long way to go, and is quick to say his experience as a fat man has been somewhat different than that of women in his industry. "I think it can’t compare with what women experience. We have fat guys who are beloved comic actors in a way that we haven’t had women be represented," he said. Still, Branum is thrilled to see a pack of gorgeous curvy ladies paving their way as comedians and showing off their fabulous figures with confidence. "There are comics like Nicole Byer, Dulcé Sloan and Danielle Perez who, in addition to being super funny and super talented are also very regularly showing you just how beautiful their bodies can be. It's great, I'm a big fan," Branum said. TODAY Style Heroes 2018TODAY Style announces their 2018 list of heroes, including celebrities, athletes, designers, makeup artists, activists and many more. Being happy in your own skin is what it's all about, and Branum is eager to live in the now. "I think that fat people too frequently are hoping and praying for one day when they will no longer be the thing that they are and they can enjoy life. And not that we’re not already enjoying life, but I think it's really important to remember that this is your body and it does wonderful things for you and you get to love it. Exercising and the way you eat and all of these things should be about loving your body, not trying to hate it into some other existence," Branum said. For now, Branum's just going to keep on living his best life: "My journey is not complete, my journey is ongoing and I'm still finding better answers. It’s not about being done; it’s about trying to move yourself in the right direction."